Unlike other illegal free copies of paid courses, these are genuine free AWS courses which have been made free by their authors and instructors for the promotional and educational purpose. You just need to enroll with them and then you can learn AWS at any time, at any place and on your own schedule. 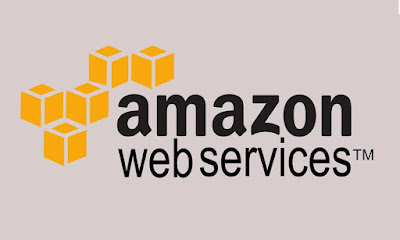 Amazon also provides a lot of certification for AWS developers like Amazon Web Service Certified Developer and Amazon Web Service Certified Solutions Architect, which is very popular among employers. If you are aiming to become an Amazon Web Service Certified Solutions Architect this year then I also suggest you take a look at the AWS Certified Solutions Architect - Associate course on Udemy. One of the best course material to prepare for this valuable certification. 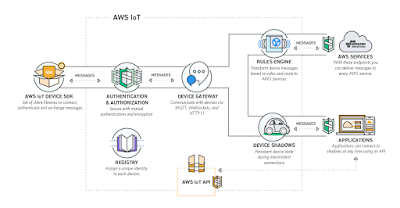 But, if you are completely new to AWS domain or Cloud let me give you a brief overview of Amazon Web Services and its benefits over traditional infrastructure setup. The AWS is nothing but an infrastructure service provided by Amazon. It's a revolutionary change because it allows you to develop an application without worrying about hardware, network, database and other physical infrastructure you need to run your application. For example, if you want to develop an online application for your business, you need a lot of servers, database, and other infrastructure. You need to rent a data center, buy servers, routers, database, and other stuff to get the start, which is pain and pose a big hurdle for many entrepreneurs. AWS solves that problem by renting their infrastructure and servers with a nominal cost of what you incur in setting up yourself. Amazon has built many data center around the world to support their core business i.e. the E-Commerce business which powers Amazon.com and AWS just emerge from that. AWS allows Amazon to monetize its massive infrastructure by renting out to people and business who needs that. It created the phenomenon of Infrastructure as Service because now you only need to pay for infrastructure you are actually using. For example, if you set up your own data center and buy 10 servers and 10 databases but end up using only 5 of them then remaining are waste of money and they also cost in terms of maintenance. With Amazon Web Service, you can quickly get rid of them. Similarly, you can scale pretty quickly if you are hosting your application on a cloud-based infrastructure like on Amazon Web Service. If you see that your traffic is increasing then you can quickly order new servers and boom your new infrastructure is ready in hours unlike days and months with the traditional approach. You also don't need to hire UNIX admins, Database Administrator, Network admins, Storage guys etc, All that is done by Amazon and because Amazon is doing it in a scale, it can offer the same service at much lower cost. In short, Amazon Web Service gives birth to the concept of Cloud which allows you to bring your business online without worrying about hardware and infrastructure which powers them. Now that we know what is AWS and what are the benefits it offers in terms of Infrastructure as service, it's time to learn different Amazon service in depth and that's where these courses will help you. You can join these courses if you want to learn about AWS and Cloud in general or you are preparing for various AWS certifications like AWS Solutions Architect, AWS SysOps Admin, or AWS Developer (associate). These courses will help you to kick-start your journey to the beautiful world of AWS. This is one of the best course to learn Amazon Web Service and it's FREE. It follows the principle of learning by example and real-world scenarios and that reflects in their course. This is a short course, having just 2 hours worth of material but it's power packed and intense. There is no nonsense talk or flipping, the instructor Dhruv Bias always means business. Even if you check the preview chapter you will learn a lot about what is AWS and what problem it solves, what benefits it offers and why should you learn it. The course is divided into 5 sections, in the first section you will get an Introduction of AWS and Overview of the course while remaining section focus on different Amazon Web Service offering e.g. Amazon S3(Simple Storage Service), Amazon AWS EC2 (Elastic Cloud Computer) and Databases like AWS DynamoDB or RDB. Overall a great free course to learn what is AWS and its different services. I highly recommend this course to any programmer who wants to learn about Cloud and Amazon Web Service (AWS). This is another awesome free course to learn Amazon Web Service on Udemy. It's from LinuxAcademy and taught by instructor Thomas Haslet. The series is actually divided into 2 courses: AWS Concepts and AWS Essentials. This is the first part while the next course, which is also free is the second part of this series. In this course, you will learn the concepts of Cloud Computing and Amazon Web Service from instructor Thomas Haslet who is also a certified AWS developer. This course is for the absolute beginner, someone who has never heard about Cloud or AWS but understand what is hardware, server, database and why you need them. In this course, you will not only learn essential concepts but also build your vocabulary. You will find answers to all of your basic AWS questions like what is Cloud? What is AWS? What is AWS Core Services? What is the benefit of AWS? Why should you use it? in this course. In short, a perfect course if you are new to the cloud. You will learn about VPC, EC2, S3, RDS and other Cloud terminology in simple language. This is the second part of the free AWS courses by LinuxAcademy on Udemy. If you have not read the first part, AWS Concepts then you should finish that first before joining this course, though it's not mandatory. This course goes into a little bit more details into AWS Core Services then the previous one. It also has a lot of materials with around 50 lectures covering different cloud and AWS concepts. The course is divided into 14 section and each one covering a key AWS concept e.g. Identity and Access Management (IAM), Virtual Private Cloud (VPC), Simple Storage Service (S3), Elastic Compute Cloud (EC2), Database, Simple Notification Service (SNS), Auto Scaling, Route 53, Serverless Lambdas etc. In short, one of the most comprehensive AWS course which is also free. More than 70 thousand students have already enrolled in this course and learning AWS and I also highly recommend this one to anyone interested in Cloud and AWS. This is another useful and exciting free AWS course you will love to join on Udemy. In this course instructor Mike Chambers, an early adopter of Cloud and AWS explains the basics of Amazon Web Services. The course is also very hands-on, you will start up signing up to AWS, creating your account and then using the command line interface to control AWS. You will also learn to navigate around the AWS console, build Windows and Linux Servers and create a Wordpress website in 5 minutes which demonstrate how you can leverage Cloud for your database, server, and storage requirement. The course also teaches you how to build a simple AWS serverless system. The course not only focuses on AWS technology and terminology but also teaches you basics e.g. the true definition of Cloud Computing and How AWS fits into the Cloud model. You will also get some realistic picture to find where is AWS located in the world. In short, one of the best free course to learn Amazon Web Service and Cloud Computing basics. This is another short but truly hands-on AWS course which will teach you how to perform a common task on the AWS interface. In just 2 hours time you will learn how to launch a Wordpress website based on Amazon EC2 service. 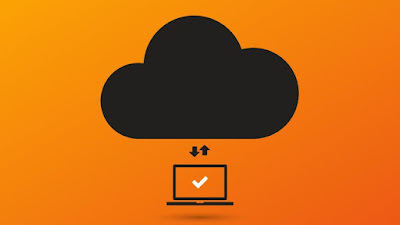 You will also learn how to create a NodeJS based web application, sending an email with AWS SES, uploading a file to AWS S3, the storage solution provided by Amazon and finally, learn to create and connect to an AWS relational database server. In short, a great course if you want to use AWS for hosting your application or want to learn how you can leverage Cloud to host your application and most importantly it's FREE. That's all about some of the best free courses to learn Amazon Web Services or AWS. These are absolutely free courses on Udemy but you need to keep that in mind that sometime instructor converts their free course to paid course once they achieve their promotional target. This means you should check the price of the course before you join and if possible join early so that you can get the course free. Once you are enrolled in the course its free for life and you can learn at any time from anywhere. I generally join the course immediately even if I am not going to learn AWS currently. This way I can get access to the course and I can start learning once I have some time or priority changes. Thanks for reading this article so far. If you like these AWS courses then please share with your friends and colleagues. If you have any questions or feedback then please drop a note. P. S. - If you are aiming to become an Amazon Web Service Certified Solutions Architect this year then I also suggest you take a look at the AWS Certified Solutions Architect - Associate course on Udemy. One of the best course material to prepare for this valuable certification.